A call for Autumn Festival Volunteers! It's that time of year when we are looking for volunteers for our annual fundraiser, the Autumn Festival! The Autumn Festival is a really fun and popular event which can't happen without the fantastic support of our volunteers. This year the festival will be on Sunday Sept 24th 10.30am-5pm. 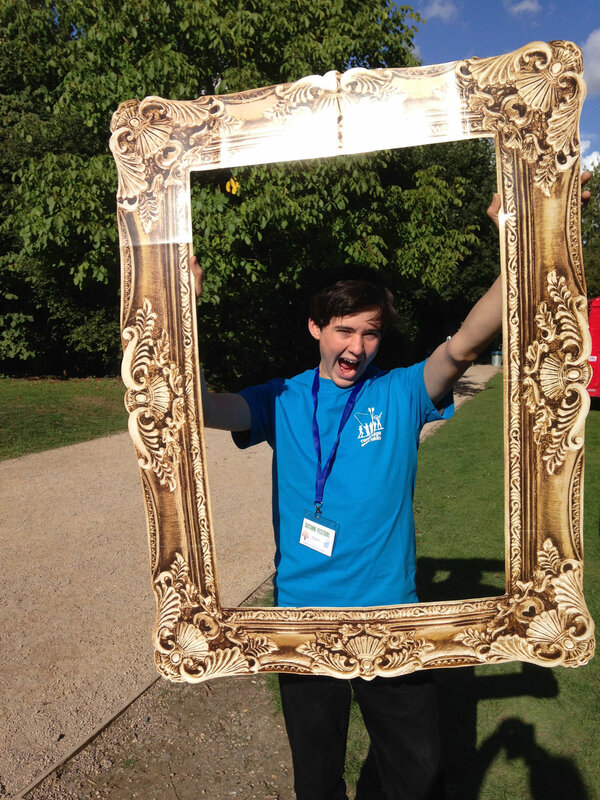 Volunteers get a free ticket to enjoy the festival before or after their session! All day volunteers will have lunch provided by Tesco. Do let us know if you would like to join us for this event so we can add you to our schedule. Volunteers will be invited to a pre-event briefing the week before the event. If you would like to volunteer please fill out the quick form below - thank you! Our Go-Tri mini triathlon is back! If you've ever wanted to try a triathlon now is your chance with this fun, short, off-road, affordable & accessible event! Entry (£10.00) is in advance. The playgrounds at Milton Country Park have been much loved and well-used for many years. Our equipment was installed in 1999 and is now at the end of its useable life. The park has a thriving community and outdoor play is a key element to what makes the park such a great resource. It's vital that we have a playground which better reflects our beautiful park setting and provides a stimulating, exciting place for children to enjoy playing, learning and physical activity. New playgrounds are expensive and go far beyond the maintenance budget of the park. Milton Country Park is managed by registered charity, Cambridge Sport Lakes Trust and receives no external funding. The park costs hundreds of pounds every day to remain open and large scale improvements such as this are only possible through fundraising. We have identified several local funding opportunities but there is no guarantee of success and even if successful they will still not fully cover costs. We are therefore asking for your help. If you enjoying visiting Milton Country Park, if your children love playing in the park, and if you would like them to enjoy more exciting, challenging play, then please help by giving a donation! We welcome support from local business and fundraisers. If you have an idea for raising money we'd love to work with you! If you are a local business keen to support community projects then please do get in touch! Fundraising isn't just about raising money, it's about gathering and evidencing local support. If you would like to see our project go ahead then please add your name and any comments to the petition on our web page. Thank you to everyone who has already supported our playground! We are very grateful for all donations however big or small! The children were so keen on having a zipwire we've added a double zipwire to the design so that they can play with their friends! The design has been broken down into three phases. How much we can do is entirely dependent on how much we can raise. This design can be added to with more play equipment, landscaping and planting, seating. As our funds grow so can our ideas!! VIEW OUR PLAYGROUND PLANS ON OUR WEBSITE! You Can Bike Too is an award winning, all ability cycling project delivered at Milton Country Park. You Can Bike Too is the only cycling project of its kind in Cambridge. There are a wide range of bikes to suit individuals or groups of friends to cycle together. There are different bikes to suit all abilities and sessions are run by trained instructors (helmets are provided). Milton Country Park have designated short or longer routes to cycle around. Active on jane.jones@forever-active.org.uk or call Jane on 07887760426. You can now download and read our summer newsletter - or print it out and stick it on your fridge for a handy reminder of what's coming up in the park! The weather is looking great for our first outdoor screening this summer - Mamma Mia! Come and boogie and sing-a-long to songs like ‘Does Your Mother Know’ and ‘Gimme, Gimme, Gimme a Man After Midnight’. Gates open at 8pm and Spectrum Events will be providing an illuminated bar and snacks while park café, Grounds will be serving hot drinks and hot dogs from its pop-up before the film starts at 10pm. Go on ‘Take a Chance on Me’ and enjoy a fun night with a big screen under the stars! Bring blankets and chairs if you wish. Tickets £12 each or 4+ tickets for £10 each. Summer Watersports at Milton Country Park! If you enjoyed the watersports at Parklife 2017 yesterday then why not further your paddle skills this summer at Milton Country Park? This year Cambridge Sport Lakes Trust was awarded a grant through Sport England to develop canoe opportunities at Milton Country Park. We've now launched a programme of sessions for the summer to get you paddling in no time! On Sundays from July 16th we'll have Quick Start canoe sessions running from 11am and 12.15 am which will give you an introduction to this versatile sport. Sessions are open to adults and children with a minimum age 8 (children under 10 must be accompanied in a boat by an adult). Sessions are fun and friendly and designed for all abilities, whether you have no experience or want to refresh your skills on the water. You will learn the basics of canoeing, including safety, equipment and paddle strokes. If you're keen to learn and experience canoeing with a difference and enjoy a real adventure on the water then why not try our Skills & Journeys course? 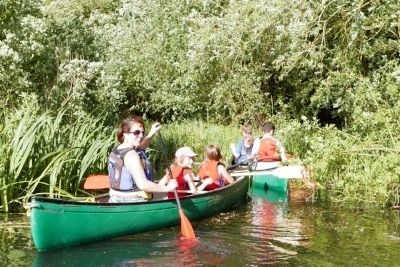 This is a unique opportunity to learn the basics of canoeing with a half day course on the lake followed by a beautiful day journey along the river Cam (one day journey) or Little Ouse (overnight & camping)! Our highly experienced and BCU qualified instructor, Joy of Adventure, teaches from the recognised BCU syllabus meaning you have the opportunity to earn your BCU one star or Paddle Power Passport (age 8-14), whilst enjoying an journey on a nearby river that'll leave you with great memories and new friendships! For more information and online booking please visit our canoe web page. Our SUP courses are proving so popular we've added more places to July's SUP Ready to Ride and Born to Ride sessions,so you can learn paddle like a pro, earn a passport to use in BSUPA schools across the country, and even join our resident Cambridge SUP Club or fitness classes! Sessions are open to adults and children over 1.3m tall. For more information and booking please visit our SUP web page. Parklife is a fun family festival organised by South District County Council in partnership with Cambridge Sport Lakes Trust. Parklife allows visitors to try a wide range of sports and activities to improve their health and well being and inspiring them to be more active. The event will get underway with the regular 2k junior parkrun, marking the official start of Parklife 2017. All activities are free of charge and for most it will be a case of turning up to take a turn. The Water Zone will feature kayaking, canoeing and paddle boarding plus the chance to try your hand at angling too. These taster sessions are popular so to help manage demand, half the slots will be available to book in advance. You can find all the details of the day on our Water Sport bookings page. With the help of the experienced instructors, visitors find they can quickly take to the water and have fun on the lake. Once again HoverAid will be offering rides across the lakes in return for a small donation to this worthwhile charity. The action packed Cycling Zone will return, offering a myriad of bikes to try out, from multi-person, recumbent, balance and all-ability bikes in addition to the popular pedal-powered Scalextric, smoothie makers & cycling sprints. Back by popular demand is the Wild South Cambs Zone, where visitors can get hands on, den building, fire -lighting and pond dipping. The Extreme Zone will feature archery and some pretty challenging climbing walls, as well as the incredible spider mountain, which involves a lengthy climb up a netting tower and descent via a precipitous slide. New this year will be Cambridge United who will be bringing along a fantastic inflatable football pitch as well as a selection of their Olympic schools activities. There will be entertainment too, with live music, dancing, circus skills and lots of opportunities to join in and have fun. Refreshments provided by Grounds café pop ups around the park and Events Tree vintage tea tent in the orchard. Take your work out to the water and enjoy a fitness class with a difference! £10 per person, payment on arrival. Take your work out to the water and enjoy a fitness class with a difference! SUP Fitness is a challenging exercise class combining paddle boarding, balance and yoga. Ditch the gym, work your whole body and improve your core-stability, with the added benefit of a beautiful lake setting. We ask that you have attended a minimum of a Quick Start session and feel confident on a board and in water. We won't make you do a headstand...unless you want to! Canoeing at Milton Country Park! Recently Cambridge Sport Lakes Trust were successful in receiving a grant from Sport England for the purchase of equipment that will enable us to develop canoe opportunities at Milton Country Park. We now have nine fantastic new 16ft Canadian canoes which will enable us to get more people out on the water and accessing this exciting sport! We will be working with British Canoeing over the course of the year to develop opportunities and hope to have some taster sessions this year and more activities in place for 2018. See below for some canoe sessions coming up soon, more information to follow! Parklife is our popular free family event provided in association with South Cambridgeshire District Council. This year you can try canoeing, kayaking and paddle boarding taster sessions on the lake. The watersports are really popular and places always fill quickly. Half the available sessions will be bookable in advance. Pre-booking will be open from 9am Thursday 1st June until 5pm Monday 19th June. There is an admin fee of £5 per kayak/paddle board and £8 per canoe. You can also book on the day from 10am at the marquee by the visitor centre. Age and height restrictions apply. Please see the Parklife website for more information. 5) Open Silver Assessed Expedition July 21st - 23th / August 28th - 30th. Based in East Anglia. Paddle Boarding Lessons start next Saturday! Paddle boarding lessons start next Saturday, 6th May with a Quick Start session designed to get you paddling in no time! Sessions start at 10am and 11.15am and cost £15 per person. Perfect for adults and children it's a great activity to do as a family, as an introduction to this growing sport or as a refresher if you've tried it before. Courses alternate on Saturdays between our Quick Start sessions and our Ready to Ride and Born to Ride courses, where you can earn your accredited BSUPA pass which will allow you access to our club and social nights! Learn to SUP and enjoy time on the water this summer with the UK's fastest growing sport! If you have a Ready to Ride or Born to Ride pass you can now pay and paddle on the lake at our Club social sessions! Weekly sessions begin tomorrow 27th April. Under 16s must have a Born to Ride pass and an accompanying adult. For 7pm sessions there should be a board already out for you but allow time to help take them back to the container. You can earn your Ready to Ride or Born to Ride pass by completing our two and a half hour skills course, now bookable online here. Open Water Swimming: Easter weekend! As a result of a lovely week of weather we have seen the water temperature of Todd's Pit rise to 15 degrees. This is a comfortable temperature to start our open water swim season and with this in mind we will be bringing our start date forward to Friday 14th April (Good Friday!) We are mindful that air temperatures will dip next week but with a balmy weekend predicted we are confident the water temperature will hold for the Easter weekend. From Good Friday onward sessions will run as detailed on our dedicated web page. Here you will also find the current water temperature, which we will be keeping updated throughout the season. We look forward to seeing you on the bank very soon! Outdoor Cinema coming to the park this summer! This summer we have two opportunities to enjoy a classic film in the park! Spectrum Events will be providing an illuminated bar and snacks and park café, Grounds, will be serving hot dogs and hot drinks from its pop-up before the film. Visit the Spectrum Events website or collect and pay for your tickets at the park office. Come and boogie and sing a long to songs like ‘Does Your Mother Know’ and ‘Gimme, Gimme, Gimme a Man After Midnight’. Gates open at 8pm, the film will start at approximately 10pm. Come and help us celebrate E.T. being 35 years old with this outdoor screening of this iconic film. Enjoy a nostalgic night out or share the magic with your children. E.T is a perfect film to enjoy under a night sky! Paddle Boarding in the Park! Why not try paddle boarding in Milton Country Park this summer? We are an accredited school with the British Stand Up Paddle Association (BSUPA) and offer plenty of opportunities for you to enjoy one of the world's fastest growing sports, whether you're a complete beginner, have tried it before and want to progress, or you're an experienced paddle boarder looking for some time on the water. Stand up paddle boarding (SUP) is fun, offers a great work out incorporating balance, strength and flexibility, and is a unique way to explore our natural surroundings. This year you can even book and pay for your sessions easily on our website! Visit our dedicated SUP page for more information about our Ready to Ride and Born to Ride Courses, Quick Start sessions, parties, individual hire, Cambridge SUP Club, SUP Fitness and more! Welcome to Wild Thyme & Embers! 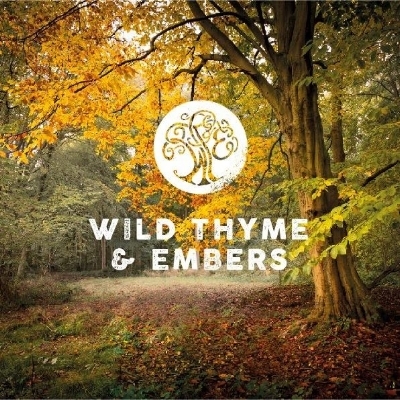 Introducing Wild Thyme & Embers, a new outdoor learning experience for children and their families at Milton Country Park. Sessions are designed to encourage families to spend more time outside, reconnect with nature and enjoy the lifelong benefits. They will be running outdoor toddler groups and family sessions in the Wild Place, including bushcraft, survival skills courses and tailor made experiences for groups such as nurseries, schools and youth clubs. Sessions below start on April 25th. Earthworms: an outdoor toddler group which includes sensory bushcraft and play-based activities, games and songs; all of which encourage the children to foster strong relationships, build self-esteem and develop their language and communication skills. Dragonflies: A woodland family group developed for children aged 3-7. Focusing on practical bushcraft and survival skills it introduces a range of tools, used with assistance and under close supervision. Children will be encouraged to set their own challenges and take acceptable risks to build their self confidence and sense of achievement. Please see the Wild Thyme and Embers website for more details and booking information. On Sunday January 29th we are hosting an RSPB big garden bird watch and bird ringing session at Milton Country Park community orchard. Come and take part in the survey and meet our winter birds up close. Members of the RSPB will be there to tell you more about the different birds you get in the park and ringing birds, which provides vital information for species monitoring and also gives us an opportunity to really appreciate our beautiful feathered visitors! Wrap up warm and stop by from 10.30 onwards. The bird count will be taking place from 11am-12pm. For more information on the RSPB Big Garden Bird Watch and to download your information pack please visit the RSPB website. *This event will be postponed if heavy rain or strong winds are forecast and info posted on this blog page by Saturday 28th. Bank holidays (27th December & 2nd January): 9am - 4pm. All other days Grounds will be open as usual. Please see visitor info. Are you interested in Canoeing at the park? Last year we worked with a group of Cambridge University students as part of a challenge for a Social Innovation Project organised by Cambridge Hub, linking students with local charities and giving them experience in external consultancy. 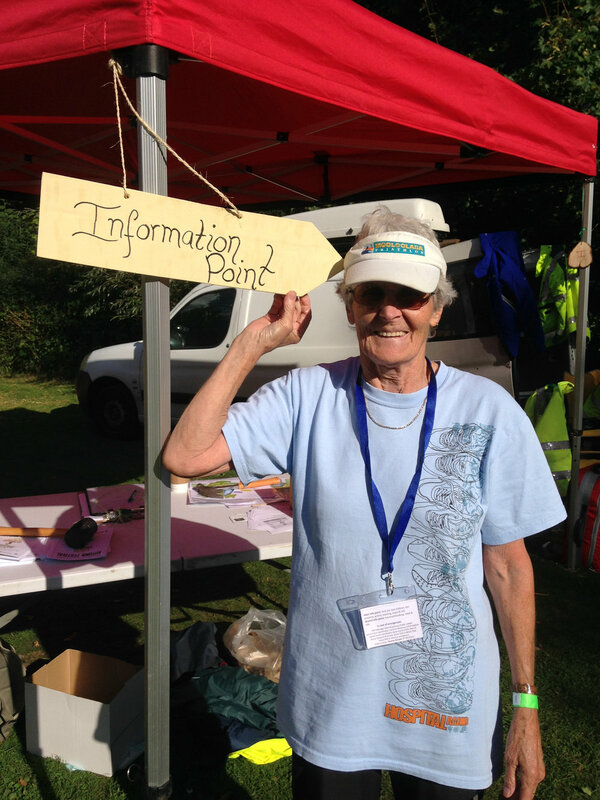 This report showed that there was an interest in more inclusive activities at the park and a particular interest in canoeing. To build on this research we are now working with a new cohort of students who are conducting a feasibility study into a canoeing programme at Milton Country Park. The students have compiled a quick survey to gather more information for this challenge. If you have an interest in canoeing for yourself or a family member, whatever your age or ability, please do take a few moments to complete this survey. As always your opinions are very important to us and really help to enable future projects.